We welcome the Queen’s Baton Relay to Barbados! 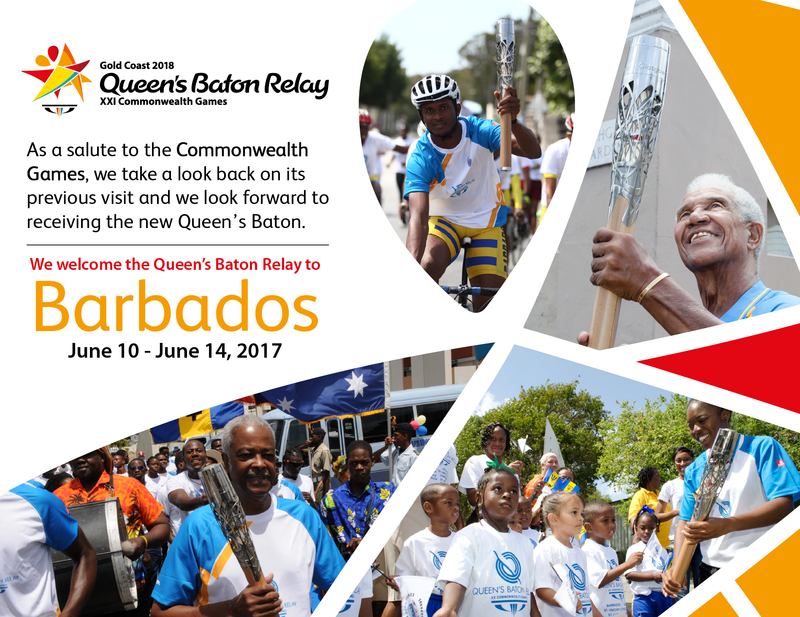 – Barbados Olympic Association Inc.
We welcome the Queen’s Baton Relay to Barbados! From Buckingham Palace to the heart of the Kalahari Desert, the Queen’s Baton has passed through the hands of presidents, fishmongers, children, farmers and athletes alike. Hundreds of communities were engaged, sharing Her Majesty’s message of hope and peace. The journey now continues in the Caribbean with the Baton’s first stop in Trinidad and Tobago, then Grenada, St Vincent and the Grenadines and Saint Lucia. It is now over to Barbados from tomorrow, June 10. The Baton leaves Barbados on Wednesday, June 14 for Dominica and then moves on to Antigua and Barbuda, Montserrat, St Kitts & Nevis, Anguilla, British Virgin Islands, Jamaica, Turks & Caicos and Cayman Islands.